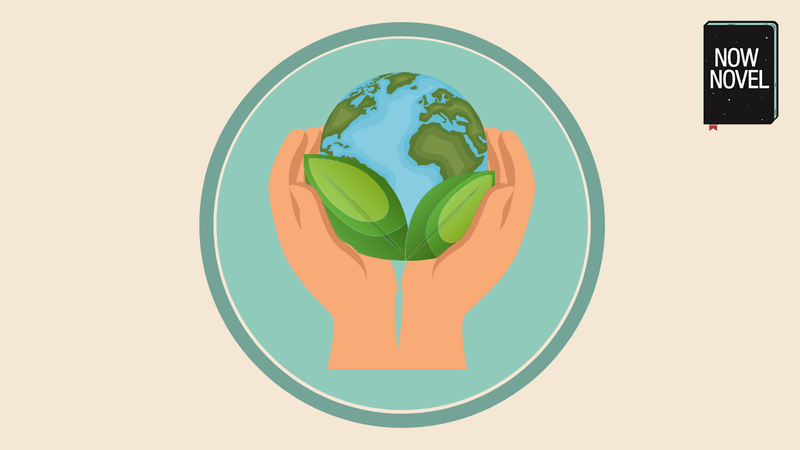 The natural world, from plant and animal life to geology, affects our lives. It shapes everything from what we can eat (what can grow or is more accessible than other food stuffs) to where we can go. Especially in settings where technology isn’t powerful enough to give characters the means to overcome geographic limitations easily. For example, a setting without cars or air travel. Take, for example, the Greek myth of Persephone. The King of the Underworld Hades snatches Persephone from her mother Ceres, the Goddess of agriculture and fertility, to be his bride. 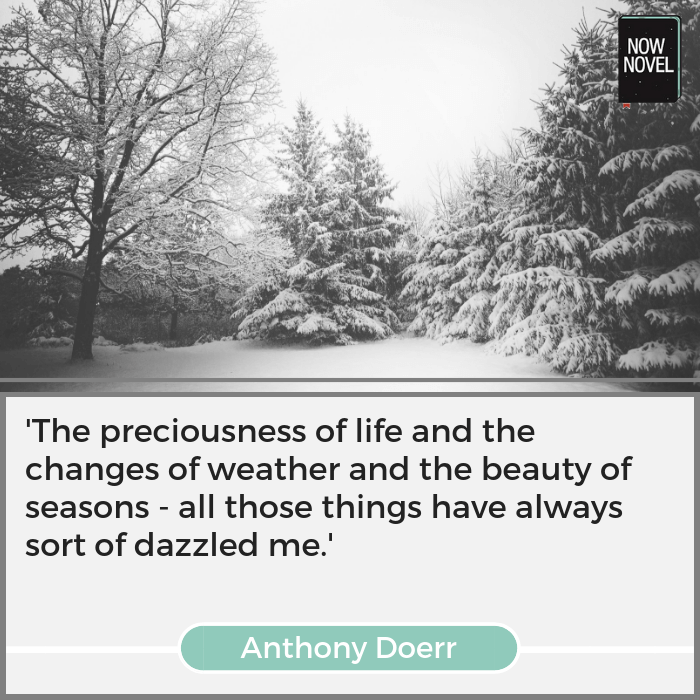 This is a tale explaining the origins of seasonal change. Although Ceres recovers her daughter, Hades keeps Persephone for a few months each year. This is when winter arrives, due to Ceres’ sadness at her daughter’s absence. She neglects her crops as she pines for her daughter. Looking past mythology to literal uses of natural environment in stories, rivers are places of adventure in novels like Mark Twain’s Adventures of Huckleberry Finn (1884). Or treacherous sites of personal tragedy in novels like Faulkner’s As I Lay Dying (1930). Mountains may be mysterious, mythological places, as in the central chapter of David Mitchell’s Cloud Atlas (2004). Or they may be arduous, challenging summits in adventure stories. In short, the natural environment in a story can provide interesting obstacles, mysteries, explanations, themes and symbols. It can shape what your characters can and can’t do, or where they can and can’t go yet. 1: What are key features of your world’s environment? 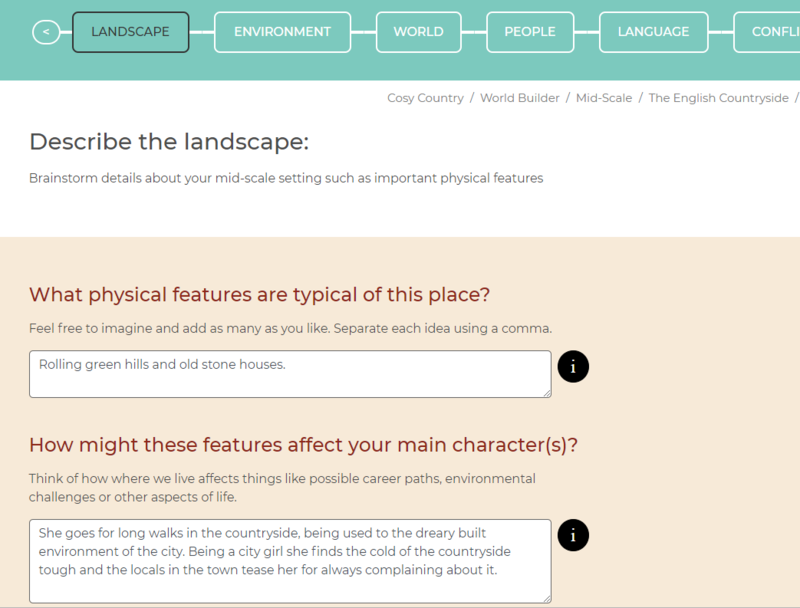 The World Builder tool in our story outlining dashboard takes you through step-by-step prompts to find details for your settings. All this information is added in structured sections automatically to your private outline. You can download this any time from your private dashboard. Gathering these environment details will help you to imagine your story’s natural environment and what role(s) it might play in your characters’ story arcs. Fantasy in particular often features natural, magic-filled environments. In urban fantasy, however, the built environment replace the more rural, Tolkien-like ‘nature’ of many epic fantasy classics. Environment (and season) here are environmental signs or shadows of an antagonist’s cold cruelty. C.S. Lewis also uses the symbolism of winter to evoke a sense of death and loss (of cyclical plant life, for example, like in Ceres’ myth). Thanks to the White Witch, rebirth and renewal are postponed indefinitely. Narnia’s animal inhabitants suffer as a result. This gives the child protagonists a goal – to free the animals from this harsher environment. You can also use the natural environment in your world building to create tension and major obstacles for your characters. This is common in quest-type stories. 2: What obstacles for characters could your environment create? The central quest of the novel is the Bundren family’s mission to bury their mother, Addie, in her hometown. They cart her casket through great trials towards Jefferson, Mississippi, their goal destination. Following Faulkner’s example, think about the natural environment and ask some world building questions. For example, what natural threats or challenges might your characters encounter in their surrounds? 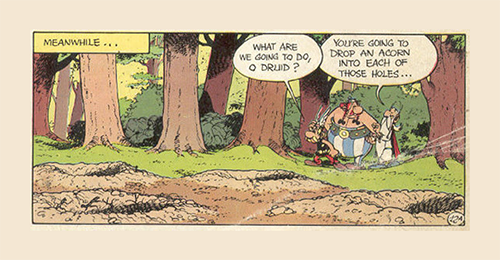 Let’s examine an example from the French satire comic book series, The Adventures of Asterix by Goscinny and Uderzo. The central conflict and organizing idea throughout the Asterix series is Ancient Rome’s imperialist conquest. It follows a steadfast village of Gauls (ancient inhabitants of what is now France) who resist the Romans’ expansionist greed using their wits and magic. One book in the series satirizes urban development. Environmental change is a big part of the story. In The Mansion of the Gods (1971), Julius Caesar attempts to establish a housing settlement for retired Romans in the woods near the Gauls’ village. His aim? To force the Gauls to accept Roman ‘civilization’. The comic’s creators show the disruptions this process causes, including the environmental devastation in the nearby forest. The Gauls’ way of life is challenged as their food source (wild boar) flees from its natural habitat. When settlers start arriving at the Mansions, this also disrupts trade and industry in the nearby Gallic village. The village becomes a local tourist attraction for rich retirees. Locals compete for the Romans’ money. Locals resent having to suddenly pay ‘tourist’ prices in their village. The boom pushes prices up, then crashes prices as the market is flooded with similar products competing for the Romans’ money. The takeaway from this satire of urban development is that environment profoundly affects ways of life and can directly influence characters’ arcs. Just as the Gauls in Asterix’s village change with their environment, your characters can encounter new obstacles and choices due to a changing landscape. This is particularly common in dystopian novels (such as Cormac McCarthy’s The Road) where environmental destruction limits characters’ choices and options. 4: What symbolic ideas could environment in your story create? Various writers have examined the image of the forest in Perceval’s story and its symbolism. Some, for example, see it as womb-like. The forest is seen as a symbol of Perceval’s mother’s maternal, protective care. However you read the forest, there is a strong contrast between its innocence and the outside world of experience, and quests, of knights, kings, killings and mystery adventure. Think about the environmental features of your story and what they might represent (like the death-and-afterlife symbolism of the river in As I Lay Dying). Join Now Novel and use the World Builder tool to create and link setting ideas and gather them all in your comprehensive, structured story outline.